We are a market leader in supplying international payment terminals abroad. Are you a company that has a forthcoming exhibition abroad? Perhaps you need to go abroad with your business but you have no way to take card payments? Perhaps you are looking for a temporary solution without having to commit to a long term agreement? Wireless Terminal Solutions’ International card processing terminals will help you to trade all around the world. Our portable Chip and PIN card machine allows companies to process payments abroad making it easier for customers to pay. Using our International terminal specialist solution keeps everything simple for you and your business. With international Chip and PIN rental you will have your own dedicated account manager who will handle all aspects relating to your account, so you don’t need to deal with a different individual each time you call and rest assured all members of staff are trained to understand customer’s technical related issues. We are always striving to deliver a complete service to the end user and we have introduced a multicurrency merchant account for customers looking to accept payments. Why hire your international card terminal through us? Wireless Terminal Solutions provides payment solution consulting and professional services, understanding your requirements using our in-depth knowledge gained from other areas of our card terminal business. 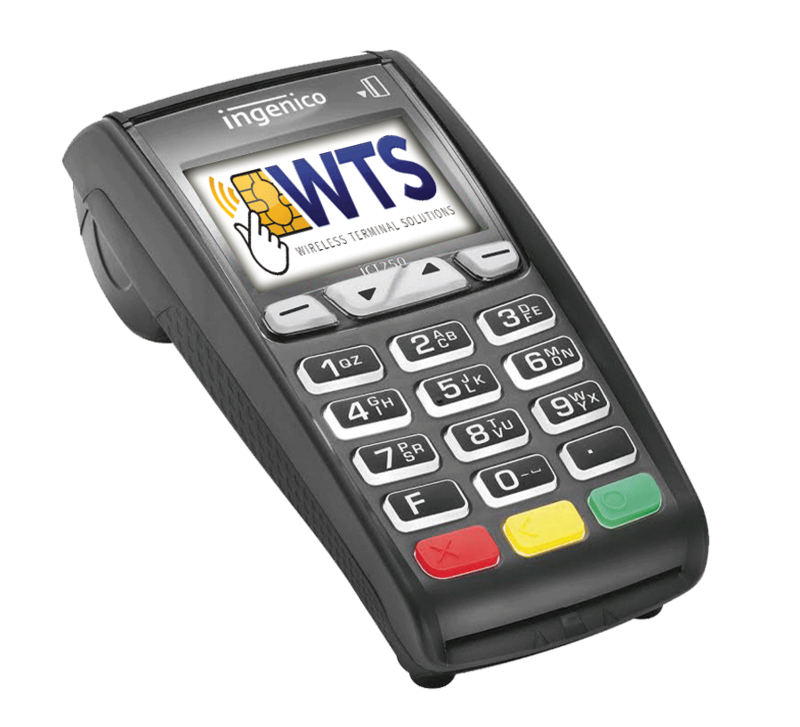 Wireless Terminal Solutions specialise in delivering customer service to support your card machine hire ensuring that you have a reliable partner from the initial quote, through to deployment, and indeed throughout the credit card machine hire. All of our card machines are deployed a few days before the requested date, ensuring you have everything you need before you leave the UK. Our manual credit card machine Technical Support is second to none. Being abroad makes no difference to us – you can be rest assured that technical support comes inclusive with the credit card machine services we offer. With experience deploying both small and large orders abroad, our project managers are able to apply their experience to any situation. We specialise in late bookings, so if you’ve left ordering the card terminals to the last minute you can be comforted in the knowledge that we will go above and beyond to get it operational for you. WTS’ portable Chip and PIN terminals are ideal if your business needs to accept cards on the move. How do card machines abroad? Choosing an International short term credit card terminal lease through us means you are in safe hands, wherever you are trading. We have temporary solutions developed specifically with the customer in mind and we have simplified international short term card terminal rental for the end user. Providing you have a merchant account in place, we can link a card machine to enable you to process credit and debit card payments (if you don’t have this facility in place, we are able to set this up to you – we also specialise in merchant services). Unlike other companies in the industry, we specialise in international Chip and PIN rental, so we understand customer’s requirements. Please call our experienced sales staff on 0845 459 9984 for more information. Our bespoke international SIM cards have been especially designed for our customers to ensure you can make the most from your event abroad. Wireless Terminal Solutions’ international roaming SIMs should automatically configure to the relevant mobile networks within the location and we can provide a free tutorial where required. Our international card machines are popular with our international customers, and have been used in Dubai, Canada, Europe and the USA. With our international SIM we are able to offer a cost effective card payment solution for customers using it within a European setting. Please note the only places the international card terminal won’t work are North Korea and Japan. For further details or to learn more about how our portable Chip and PIN card machine could benefit your business abroad please contact a representative who will support your enquiry and start to discuss the best solution for you, or email sales@wirelessterminalsolutions.co.uk.